As a player, the legendary Gordie Howe was undeniably one of the game’s greatest. As a person, those who knew him will tell you “Mr. Hockey” was even more impressive. Howe’s passing, announced on Friday, brought an outpouring of affection and adulation from the hockey community through hundreds of touching tributes to No. 9 that paid homage to a star athlete and first-class gentleman. For those lucky enough to meet Howe, it was always a memorable experience. The two would cross paths again. “During my time in Detroit, Gordie would be around the dressing room, and it was always something special,” remembered Schneider. “It reminded me of my time in Montreal when Jean Beliveau would come around. They were two people who rose above the game. You saw their kindness and the way they embraced being ambassadors for the sport. Howe, who hailed from Saskatchewan, skated in his first NHL game in October of 1946. 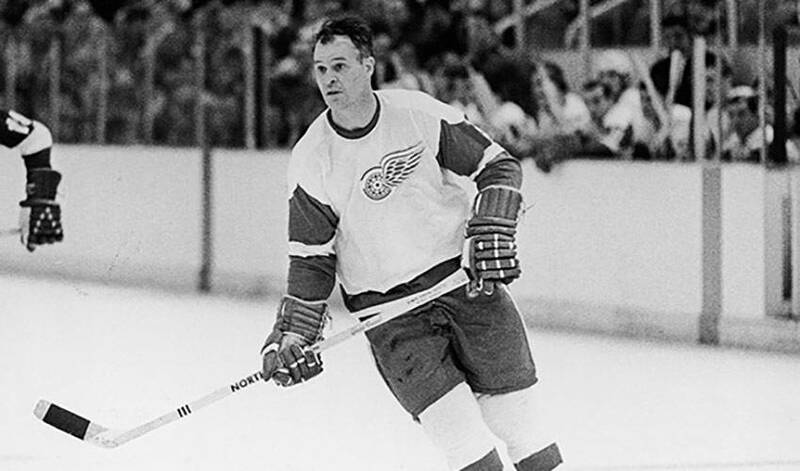 His long long and illustrious career included 25 years with the Detroit Red Wings, four Stanley Cups, six Hart Trophies as the league's MVP and six Art Ross Trophies as the league’s leading scorer. A skilled scorer, Howe, who also played in the World Hockey Association (WHA), was equally feared for his tough and tenacious style. He hung up his skates with the Red Wings in 1971, but decided to suit up with WHA's Houston Aeros two years after, an opportunity to play with his sons Marty and Mark. Howe competed with the Aeros and the New England Whalers of the WHA from 1973-1979, before his return to the NHL ice. He played his last full NHL season with the Hartford Whalers in 1979-80 at the age of 51 and put his name in the record book as the oldest player to have skated in the NHL when he turned 52 before the campaign came to a close. Howe’s list of records includes most All-Star Game appearances with 23, 22 consecutive 20-plus goal seasons, most NHL regular-season games played (1,767) and most regular-season points by a right-winger (1,850). He was inducted into the Hockey Hall of Fame in 1972. While the hockey world won’t soon forget Howe’s on-ice triumphs and his lasting impact on the game, the fondest recollections of those who knew him pay homage to the man behind the “Mr. Hockey” label. Howe is survived by his three sons and a daughter. His wife, Colleen, passed in 2009, and his younger brother, Vic, died last year.